Whipstitch Wallets Home | About Us | Opportunities | Sponsorships | Contact Us! This week we have the pleasure of introducing you to a brand new shop on Etsy that’s offering something every guy needs – a super high-quality handmade wallet that’s built to last, be used well, and look good doing it. Joe is the talented artisan behind Whipstitch Wallets, and we’re going to get some insider info about his work, his shop, and his process in today’s post. Enjoy! My name’s Joe Colquhoun, I run a single man operation focusing entirely on leather wallets.I started by making them for family and friends, and now I’m trying my hand at selling them online. I don’t ever use glue or linings because that tends to be what deteriorates with age, and I want my products to last a lifetime. The longer they last, the better they look! How did you get started in designing and crafting your unique handmade wallets? I was dissatisfied with the wallets being sold in stores. They were pretty much all machine-stitched with cheap lining, and the leather was folded and glued down in many areas. I started looking for hand-made wallets instead, and I found that many of these were a bit over-processed for my liking, with antiqued finishes and loud tooling patterns. What I was looking for was top-quality craftsmanship without the over-the-top embellishments or an over-the-top price tag. I decided to make my own very simple design out of un-dyed and unconditioned leather. My goal was not only for it to look better and better with age but also for it to actually last long enough to do so. I do offer a couple basic color options and a finish now, but the heart and soul of Whipstitch will always be that raw leather look. My custom bifold is the design that started it all! The customer can choose the color and finish (or no dye/finish, which is my personal favorite), thread color, and the option to have initials stamped into the leather. My custom fisherman’s wallet is a neat little wallet. It derives its name from the men who used to take these on their fishing trips for something to hold their license and some cash. 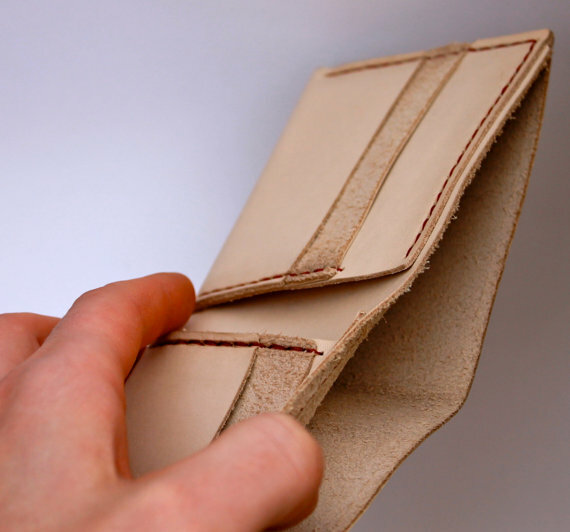 Today, guys are also using them as slim front pocket wallets for when all they need is a few bills and cards. I offer the same customization options as above. The last design I want to share with you is another slim front pocket option for guys who want something truly unique. 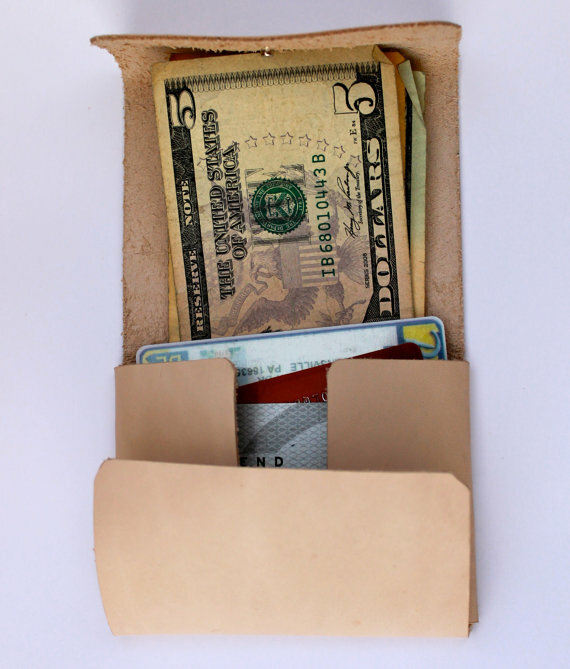 My roll up wallet works just as it sounds; it hugs and rolls up the contents and snaps shut. It has options as well, but there’s no stitching! Those are all really handsome designs with a minimalist, rugged, and craftsman feel. They’re all amazing! 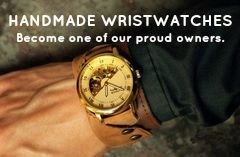 As a guy who makes and who supports other handmade businesses, why do you think going handmade is such a good choice for men? That’s easy. Guys are individualistic. We like our stuff to show off our unique style and taste. That’s hard to do with the retail one-size-fits-all mentality, especially if an item falls apart before it can develop any character. There’s also something really cool about homemade products that harkens back to the day when everything was made by skilled craftsmen. As for gifts, everything above applies, and the final piece is that people generally agree that the best gifts are personal, and handmade products tend to allow for more personalization. Thank you so much for taking time to share with us, Joe. All the best! Tagged Interviews, Wallets, Whipstitch Wallets. Bookmark the permalink.